How Much Money in a Maryland Motorcycle Accident Settlement? A national study published by Jury Verdict Research found that the average verdict amount in motorcycle accident cases is around $575,000. By comparison, the median motorcycle accident case verdict is about $75,000. This is the median. The average verdict is certainly much higher. This does not speak to the average motorcycle accident settlement amount because these are cases that go to trial. But this data is instructive in giving you a better understanding of the typical range of settlement values. Just like any personal injury case, the extent and severity of injuries will be the most important factor in determining the ultimate value of a motorcycle case. Comparatively minor, non-disabling injuries such as herniated discs and “soft tissue” injuries have less value. Plaintiff was on his motorcycle with the right of way when the defendant turned in front of him causing an accident. Injuries included a torn knee ligament, disc herniations, and other soft tissue injuries. Defendant fully admitted fault for the accident but alleged that the plaintiff’s injuries were pre-existing and not really caused by the accident. The jury awarded $300,000. This is definitely on the high end of what you can expect to get in a case involving these type of injuries. This is a Miller & Zois case that I handled. 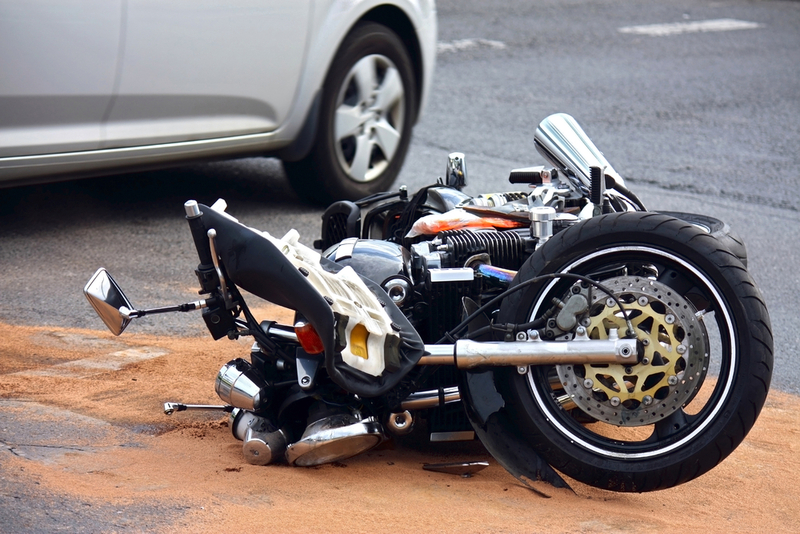 For obvious reasons, motorcycle accidents often result in very serious injuries or death. These type of cases can have a very high value. However, the limits of the insurance policies at issue can sometimes drive down settlement values. Plaintiff was on his motorcycle with the right of way in Prince George’s County when he was hit and killed by a truck. In defense, the truck driver alleged that the plaintiff was contributorily negligent because he may have been speeding and did not have a motorcycle license. The plaintiff was relatively young and left behind 2 young children. We ultimately settled this wrongful death claim for $750,000. This was actually lower than what this claim was potentially worth, but the family wanted a quick resolution. This was a Miller & Zois case I handled. In most motorcycle accident cases, it is very obvious who was at fault for the accident. For example, if a motorcycle gets rear-ended while stopped at a red light the other driver is clearly at fault. The only disputed issue in this type of case would be the extent and value of the resulting injuries. When fault is in dispute, however, it can potentially drive down the value of the case. This motorcycle accident occurred on the Baltimore Beltway (I-695) near the Old Court Road Exit. Plaintiff was riding his motorcycle in the left lane of the inner loop. The defendant made a U-turn from the outer loop through an emergency vehicle crossway and caused the accident with the plaintiff. Liability for the accident was disputed because the defendant was in a construction vehicle with flashing safety lights at the time of the accident. The plaintiff’s injuries included several broken ribs; a broken elbow and numerous cuts and contusions. The case settled for $390,000. This was a Miller & Zois case that I handled. Below are summaries of the facts in several significant verdicts and reported settlements in motorcycle accident cases. Cabrera v MABSTOA (New York 2017) $5.1 million: The 59-year old plaintiff was a passenger on a motorcycle that was sideswiped by a transit bus causing the motorcycle to slam into a concrete bridge column. The question of fault was very much in dispute at trial. There were conflicting factual accounts from the bus driver and plaintiff about who swiped who. The jury ultimately found that the bus driver was 30% at fault for the accident. Under New York law this resulted in full joint and several liability for the damages. The plaintiff was awarded a total of $5.1 million in damages in compensation for a number of very serious and permanent injuries. Colorio v Laskowitz (New York 2017) $250,000: Plaintiff was on her motorcycle on a single lane exit ramp when the defendant attempted to illegally pass her in his SUV. The SUV struck the plaintiff’s motorcycle. The defendant’s fault for the accident was not in dispute and the case proceeded on the issue of damages. Plaintiff suffered a broken nose and some dental damage (but no lost teeth) and was left with a scar on her upper lip. The case settled for $250,000. Corbin v Auto-Owners Ins Co. (Florida 2017) $381,000: Plaintiff, 44-years old and unemployed, was riding his motorcycle behind the defendant’s car when they both came to a stop at a red light. After they stopped, the defendant backed his car up and ended up hitting the plaintiff on his motorcycle. There was a factual dispute because the defendant claimed he only back up 6 inches and therefore plaintiff was liable for stopping too close behind. Plaintiff did seek any medical treatment until a week after the accident when he went to a chiropractor. Plaintiff was eventually diagnosed with epicondylitis (tennis elbow) in both arms for which he received plasma therapy and steroid pain injections. Plaintiff also alleged cartilage damage in his knee. After a 3 day trial, a jury in Broward County awarded $381,044 in damages. Sires v Nilsson (Texas 2017) $4.5 million: Plaintiff, a 63-year old painter, was riding in a group of 3 motorcycles. The defendant was driving an 18-wheeler truck in the left lane when he suddenly made a wide right turn across plaintiff in the right lane. Plaintiff was not able to stop in time and slid under the trailer of the truck. Plaintiff was pronounced dead at the scene from massive head trauma. The driver of the truck was allegedly fatigued and had lied on his mileage log in order to work additional hours. The wrongful death action was brought against the driver, his employer trucking company, and a related company. The jury awarded damages of $4.5 million. Kadylak v Royal Caribbean Cruise Lines (Florida 2017) $1.3 million: Plaintiff was part of a motorcycle island tour group in the Bahamas. One of the tour guides, an employee of the cruise line, lost control of his motorcycle and crushed the plaintiff’s leg requiring surgery to repair. Plaintiff sued the cruise line claiming, among other things, that it knew or should have known that the employee was not qualified to be on a motorcycle. Pagan v Fernandez (New Jersey 2013) $2 million: The defendant made a u-turn in order to park on the opposite side of the street causing a collision with the plaintiff who ran into him on his motorcycle. Surveillance video captured the accident and showed that plaintiff was traveling 70 mph on a 25 mph zone when the accident occurred (a common occurrence in many motorcycle cases). Plaintiff suffered massive injuries from the accident and died a few days later. The case settled before trial for $2 million. H. Pro Ami v Lunde (Nevada 2013) $100,000: Plaintiff was a 12-year old passenger when his stepfather lost control of his motorcycle and went off the road. The stepfather was killed and the plaintiff suffered a broken wrist, 2 broken fingers, and several broken ribs. The cases settled for the stepfather’s policy limits of $100,000. This is another problem with looking at average settlement data — cases like this get lumped into the pool. Clearly, this case was worth more than $100,000 but sometimes you are stuck with the insurance policy limits. Lim v Middlesex Corp (Florida 2005) $25,000: Plaintiff got in a single vehicle accident on his motorcycle near a road work site. He sued the state highway department and the construction contractor for failing to maintain a safe work zone. Plaintiff suffered a herniated disc and other soft tissue injuries for which the jury awarded $25,000. Bryan v Hanson (Florida 2009) $3.9 million: Defendant pizza delivery driver made a left turn right in front of the plaintiff on his motorcycle resulting in an accident that crushed the plaintiff’s leg. Plaintiff’s leg was surgically amputated above the knee. After a 4 day trial, the jury in Bradford County awarded $3.9 million. If you or someone close to you has been injured in a motorcycle accident, you may be entitled to financial compensation. 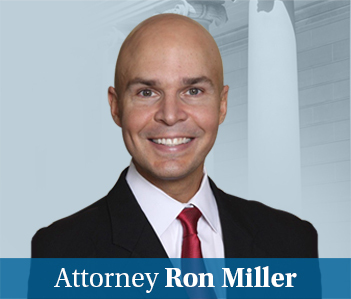 The motorcycle accident lawyers at Miller & Zois can help you get the maximum possible value for your case. Call us at 1.800.553.8082 or submit a request for a free case evaluation.